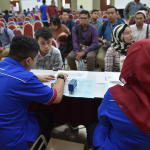 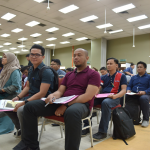 On 12 January 2019, UTMSPACE Students’ Registration and Welcoming Ceremony was held at Block N24, UTM Skudai. 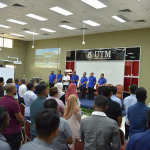 The event was graced with an inaugural speech by Chairman of UTMSPACE Prof. Dr. Othman bin Che Puan and also the attendance of UTMSPACE top management members. 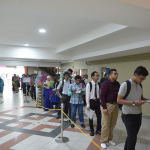 More than 550 candidates qualified and offered a place to study at UTMSPACE for this intake. 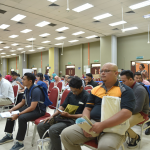 22 part-time programmes from five (5) faculties were offered to public for application. 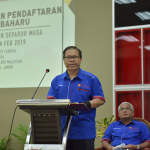 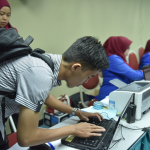 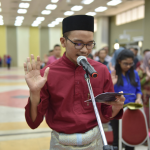 Those programmes were offered at four (4) UTMSPACE Campuses; Johor Bahru, Kuala Lumpur, Pulau Pinang and Kuching, and four (4) learning centres; Kerteh, Kuantan, Miri and Kota Kinabalu. 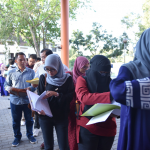 That makes eight (8) learning centres in total.